Who else gets down with Blended Oats? 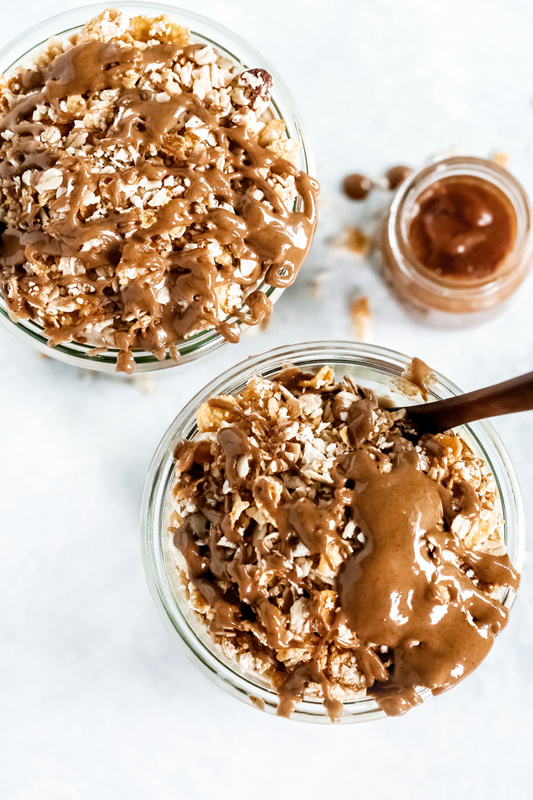 And not just any type of blended oats, Vegan Salted Caramel Blended Oats because we like to be extra up in this piece, you know what I mean!? This has got to be one of my favorite things to eat at this very moment. Back in the day when I first learned about overnight oats I was in love and it feels like that day all over again. 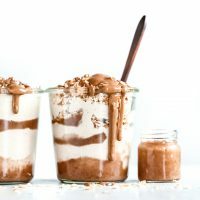 When I discovered Blended Oats I was swooning over all the possibilities. 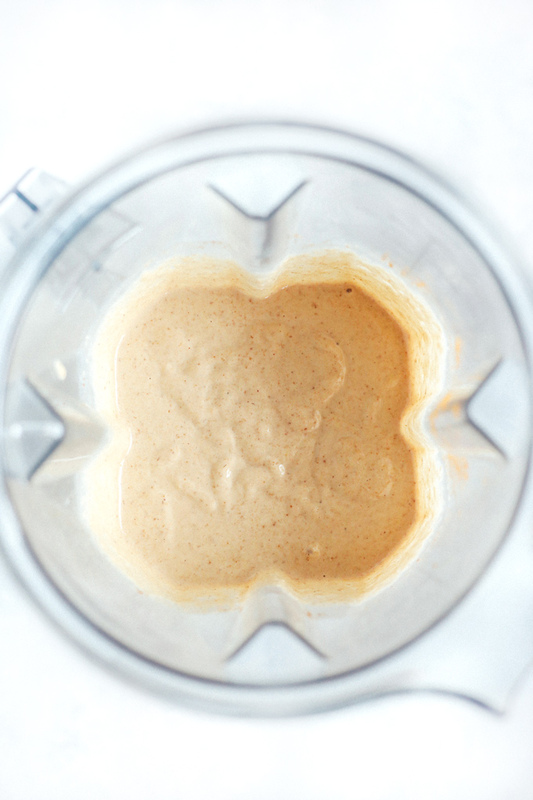 It’s everything you love about oats…just blended. 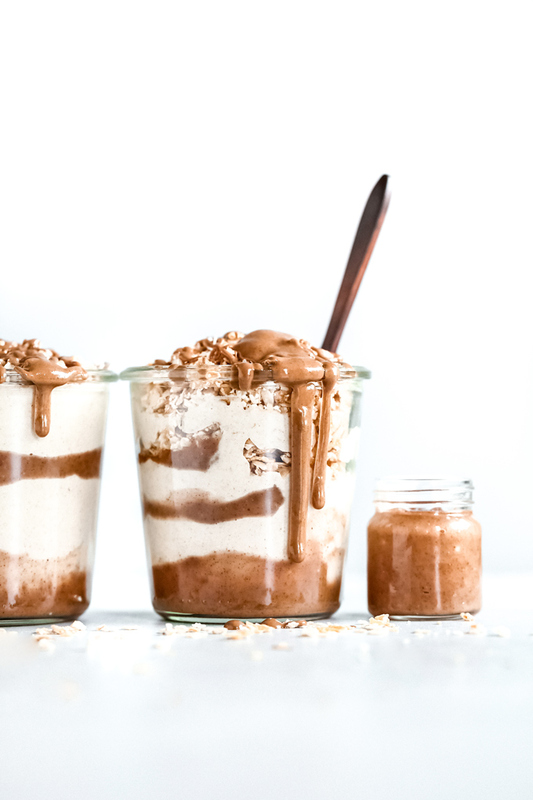 Any kind of goodness you can think of, you can have with blended oats. With back to school in full swing and all of us here getting adjusted to our new school year schedules, this has been all the rave. Serve it up either hot or cold, your tastebuds are in for a creamy dreamy treat. Tastes like dessert (and could very well could be in that category if you so choose it to be) but is so super healthy your head will legit spin. Oh and that salted caramel…made with all the goodness of almond butter. Nice high levels of fiber, magnesium, B6, and thiamin which is needed to turn protein and carbs in to energy. Good way to start the day if I say so myself. But truth be told you can accompany this the same way you would overnight oats. You can make it blueberry, lemon, pumpkin (because it is pumpkin season so don’t hold back), banana, vanilla, ANYTHING you want! But definitely give this Salted Caramel version a try though first because It. Is. Everything. I like to store this in mason jars or any glass jar with a nice solid lid. It keeps it super fresh for a few days. 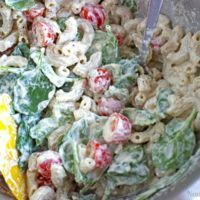 You can absolutely make this and include it into your meal prep! 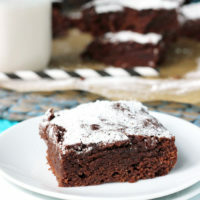 Great as breakfast or even a snack. When I eat this in the morning, I’m stuffed all the way up until lunch. But even then I don’t feel starving. I feel good, nice and fueled up. 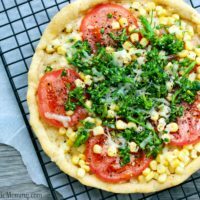 I know you guys are going to love and appreciate this recipe for it’s simplicity and it’s deliciousness. Also if you’ve been following me on Instagram you probably have been waiting for me to post this recipe. 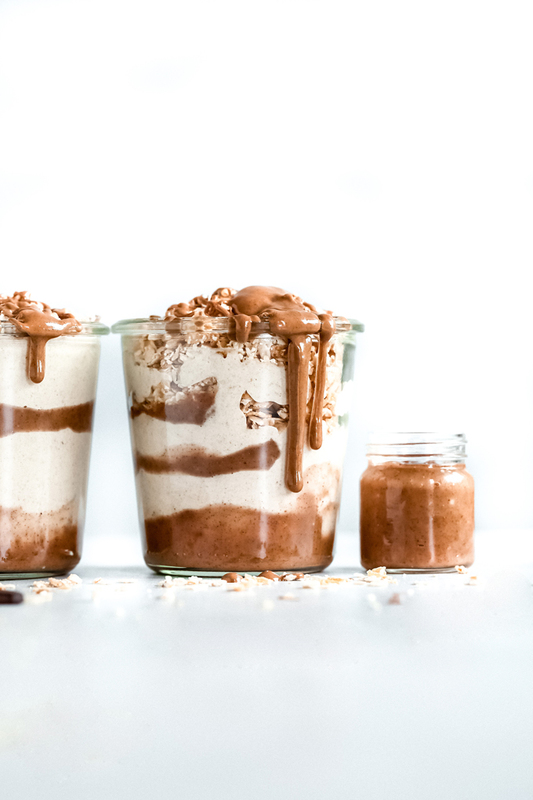 Each time I showed it in my stories it was a huge hit with tons of requests for this blended oat amazingness. Now it’s all yours for you and your family to enjoy…Yaaay! Ok now get to it, these oats aren’t going to blend themselves! Enjoy this fun of eating oats for breakfast all while still keeping it super tasty and healthy. Dazzled with salted caramel made from almond butter, this creamy deliciousness is what you need to fuel up you and your kids day! 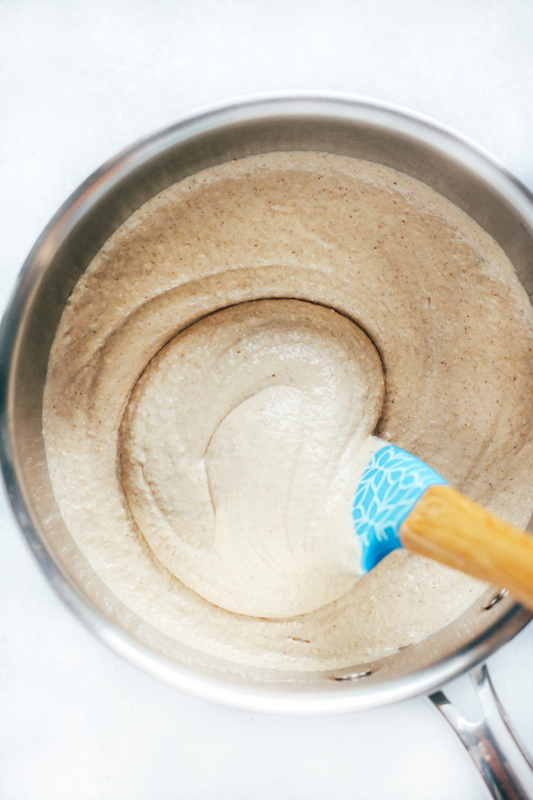 Place all ingredients (except toppings) for blended oats into a high speed blender and run until smooth and creamy. Transfer to pot and warm it up for 5 minutes. If you do not want to eat it hot you can store this in mason jars and enjoy it chilled. To make the salted caramel, place all contents in small saucepan. Stir and mix well until heated through. The hotter it gets the thicker it gets but don't let it get to a boil. You want to just get it warm where it stays thick but also has a nice dripping caramel like consistency. 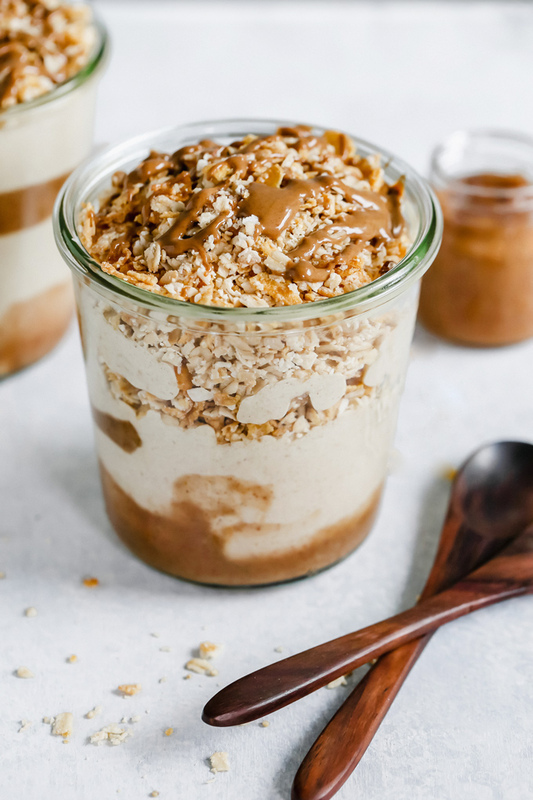 To assemble layer with some salted caramel, blended oats, granola or nuts if using and repeat until you reach the top. Drizzle the top with extra salted caramel and live your best life. Enjoy! Salted Caramel recipe is from my book Living Crazy Healthy. Blended oat recipe adapted from NutritionStripped. To flash soak your dates simply let them sit in boiling water for 10 minutes. Can sub almond milk for any plant-based milk. You can soak the oats before use for better digestion. To ensure this is 100% gluten free be sure to pick up certified gluten free oats. Although technically oats are naturally gluten free, they can get caught up and mix contaminated with wheat barley and rye. So if you're super sensitive to gluten, steer on the safe side and buy 100% gluten free.